The Central Home Ministry has informed the Tamil Nadu government that there is no restriction on the MGR name for the Central Railway Station. The MG Ramachandran Central Railway Station, named after the Tamil Nadu Gazette, was named. 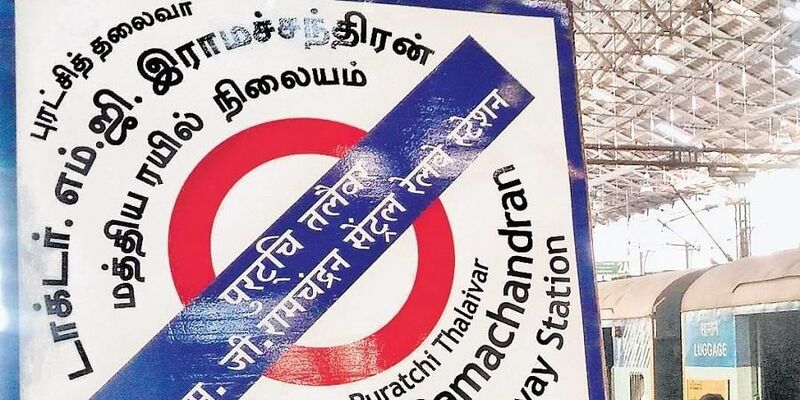 Though the station’s name does not have the mention of the city’s name ‘Chennai’, tickets are being printed with ‘MGR Chennai CTR’. This will lead to chaos among the illiterate and first-time visitors to the city, pointed out rail passengers.